For most glue jobs, we recommend using our other specialized attachments. To get the most out of our brush nozzles, be sure your job is not suited to any of our other Pizzi nozzles. To get the most out of your nozzles, keep the nozzle immersed in the water reservoir between gluings during your glue work. After the job is completed, be sure to flush the nozzle of any remaining glue with water- use our Tap Adapter which works with all of our nozzles for the best results. 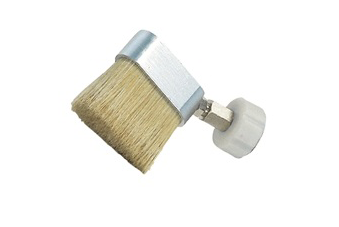 Brush nozzles require thorough cleaning compared to other types- after every use session, be sure to take extra care in completely rinsing out the bristles to remove any remaining glue. For a full description of how to get the most out of your Pizzi glue system, consult our maintenance guide.